This time, we give our reaction to the news that a number of legal organisations will be made to show how they are complying with money laundering rules as The Solicitors Regulation Authority (SRA) looks to stamp out the problem by getting tough on those not on board with the latest regulations. Elsewhere, firms operating in the Middle East are encouraged to increase investment in regtech to fight financial crime. Hundreds of firms will be made to show how they are complying with money laundering rules as regulators get tough on those falling short. 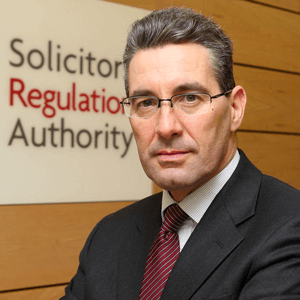 The SRA will write to an initial 400 firms asking them to demonstrate compliance with 2017 regulations. The stakes are too high for solicitors to be anything but fully committed to preventing money laundering and the crimes it supports. That means taking every opportunity to alert the National Crime Agency of suspicious activity – it is a professional duty. Many are already stepping up to that challenge, but many is not enough. Compliance is not optional. In recent years, the Paradise and Panama Papers, and the subsequent fallout, have had a negative impact on the reputation of the legal and accounting sectors, with these areas being seen as “enablers” due to their role in creating corporate structures that could be used to hide illicit gains. This has resulted in increased regulatory pressure and scrutiny that continues to be felt through the professions. While law firms do not have the resources of banks when it comes to meeting compliance requirements, this doesn’t mean that regulators will take a more lenient approach – carrying out compliance-related tasks to the level that is expected must be a priority. Risks assessments have found that those working in the accountancy and legal sectors are being targeted by financial criminals because of their expert skills and services. The UK Government is working with organisations that could be at risk, through the Flag It Up campaign, to promote best practice in Anti-Money Laundering (AML) compliance and reporting suspicious activity – efforts that must be taken seriously if the problem is to be tackled. Alongside initiatives like these, technology also has a key part to play. For law firms that want to satisfy regulatory requirements and be seen as leading the way with compliance strategy, without blowing their budgets, technology-led solutions are of critical importance and can be the difference between showing best practice or falling behind. 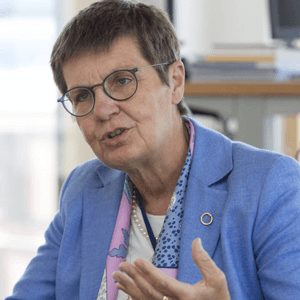 Europe has zero tolerance to money laundering, according to Elke Konig, the chairwoman of Europe’s Single Resolution Board (SRB) – an institution that ensures an orderly resolution of failing banks. No institution can survive such accusation [related to money laundering]. We have to make sure that all member states, all banks, have a clear understanding that profit from such kind of business may not be more important than [the] harm to reputation it can bring. The Baltic Times reports more of what she has to say here. Financial institutions in the Middle East have been encouraged to bolster their investment in regtech. While fintech has been well adopted by MENA institutions, the same cannot be said for technology dedicated to aiding regulatory compliance. The secretary general of the Union of Arab Banks, Wissam Fattouh, believes more must be done in order to make sure company strategies are up to scratch when it comes to facing the risks associated with financial crime. He pointed out that the majority of financial institutions’ spending on new technology had focused on Artificial Intelligence (AI) and insisted that without greater investment in regtech, firms would be more exposed to cyber security risks and financial crime. Malta’s AML regime received a poor grade in a draft Moneyval evaluation, with the government now scrambling to push up its final score before the summer deadline. A senior source told The Sunday Times of Malta that a draft report had “failed” Malta when it evaluated the country’s actions and preparations when it comes to complying with rigid AML legislation. A partnership between India and Singapore that aims to open up cross-border data flows and digital customer due diligence could serve as the foundation of a pan-Asian digital identity check, according to the Monetary Authority of Singapore’s (MAS) fintech chief. Get the latest here. The UK’s Financial Conduct Authority (FCA) is stepping up its programme of AML compliance spot checks on financial firms, senior lawyers say – a move that comes after criticisms were made in an end-of-year 2018 review from the Financial Action Task Force (FATF). Read more. Encouraged by a green light from regulators, the financial services industry is exploring new ways of using Artificial Intelligence (AI) to help them comply with banking regulations and better detect fraudulent transactions used by criminals. A report from Roll Call, which you can read here, delves into the topic. Linden Dawson, APAC customer success manager at ForgeRock, spoke at Money 20/20 Asia in Singapore, focusing on the evolution of biometric technologies and how industry players are forced to weigh up security vs. convenience. Find out what he had to say here. We are delighted to be Associate Sponsors of the 2019 edition of the Center for Financial Professionals’ Fraud and Financial Crime Europe conference. Join us and our peers from across Europe to hear insights from leading industry experts in panel discussions, presentations, Q&A opportunities, case studies and more. On Wednesday 3 April, encompass’ Senior Product Manager, Robyn Todd, will join a panel to discuss the potential uses of technology, including AI and machine learning, to automate and increase fraud and AML detection. You can register for the event here. This week, we’ve published a range of content to our blog, including a look at Intelligent Process Automation (IPA), the advantages of utilising the technology within a well-executed Know Your Customer (KYC) flow and how this could form the basis of the next generation of KYC. Read the blog in full here. encompass’ Paul Joseph and Alex Street also shared some insights after a successful two days at the UK FinTech Mission in Amsterdam, which you can read here.